Offer shalom! 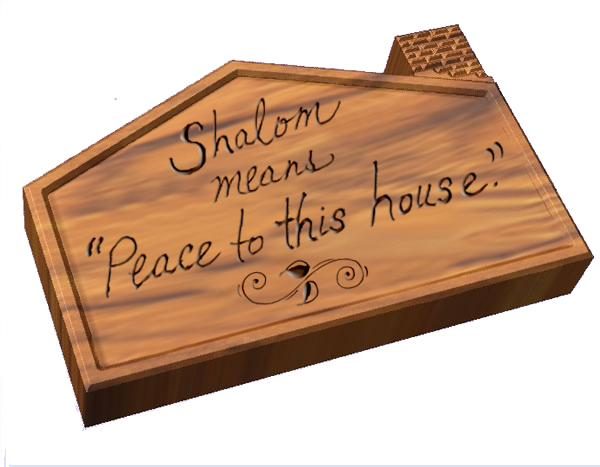 The word peace actually means “shalom,” which is found 486 times in Scripture. Shalom refers not just to an absence of violence but rather a holistic wellbeing with security and equity in all areas of life. We extend that kind of ministry to people as we enter their lives and communities, proclaiming the message of a God who wants people to experience that kind of wholeness in all areas of their lives. Build relationships! Eating together in that culture meant intimate fellowship. We must connect relationally with people who don’t know Jesus. Work to restore the physical effects of a broken world! Christ has given authority to his Church to heal the sick and to cast out demons. Our world is full of the effects of sin that impact people physically, mentally, socially, and spiritually. We must increase our faith to believe that God still longs to demonstrate his power and victory by doing the miraculous. The signs of the kingdom will always reverse the effects of a fallen world! As we enter people’s lives, sharing the message of shalom and demonstrating kingdom values, we will see a broken and sinful world restored, renewed, and transformed. It is God’s desire that people experience shalom—the world as he intended it. That is the message that we must proclaim and demonstrate! 1. Who am I intentionally building relationships with in my community, on their turf? 2. Do I have faith that Jesus will physically and spiritually heal in dramatic ways as he did in the Gospel accounts? Do I have enough faith to ask him and expect him to do this in my community? Director of Alliance Justice and Compassion. Note: A great resource that explores the Church as a builder of shalom community is Robert C. Linthicum’s book, Building a People of Power: Equipping Churches to Transform Their Communities.